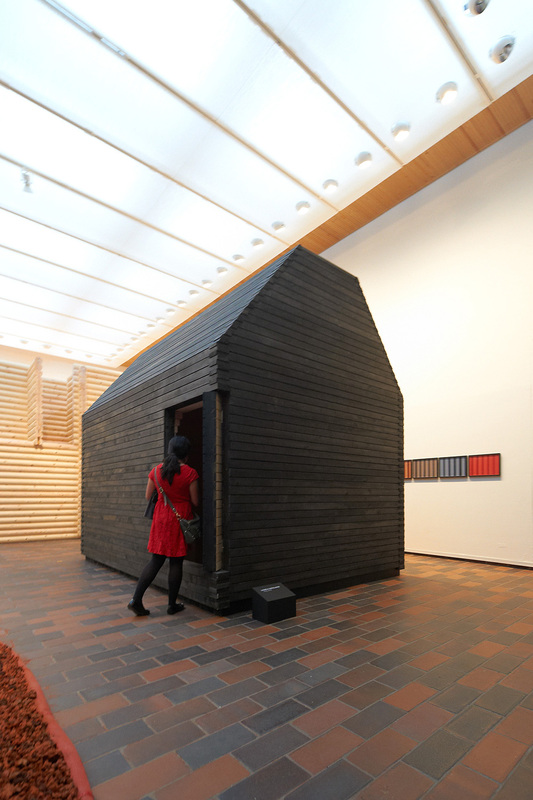 In 2012, OOPEAA, at the time operating under the name Lassila Hirvilammi Architects, was invited by the Lousiana Museum of Modern Art in Humlebæk, Denmark to create a commissioned installation for the New Nordic: Architecture and Identity exhibition (29 June – 21 October 2012). The aim of the exhibition was to explore the traditional values and future horizons of Scandinavian urban spaces, public buildings and architecture. 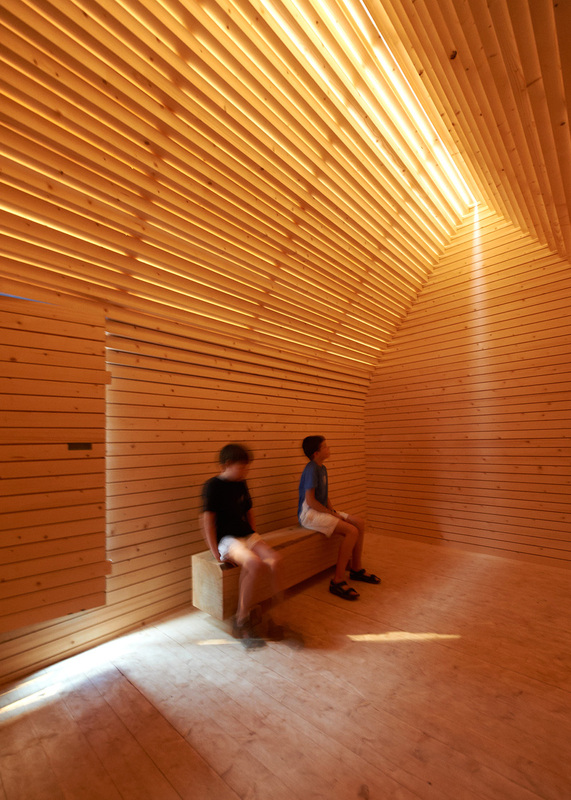 In the form of a small wooden pavilion made of spruce logs the installation represents the process of working with wood. 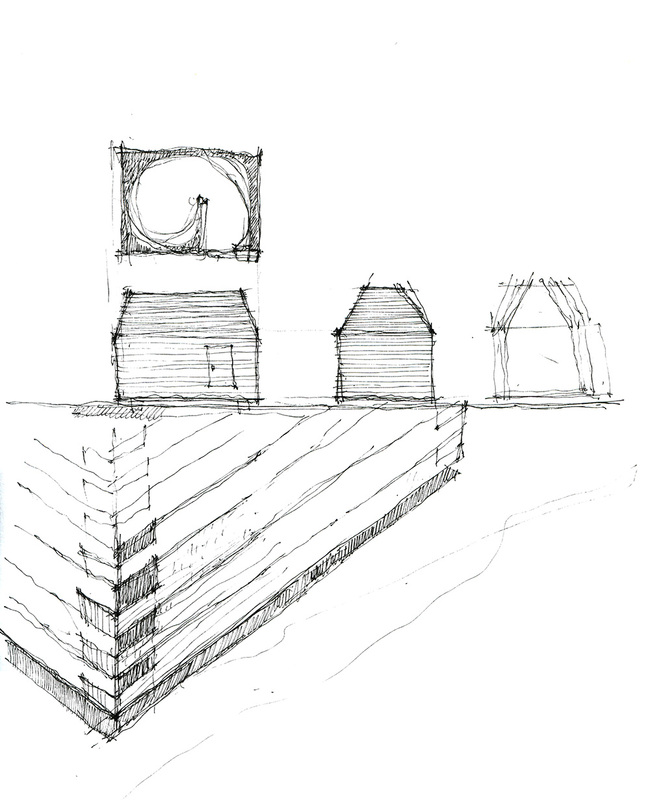 It also reflects themes that are central to the key works of OOPEAA: materiality, scale, high quality, a sense of contrast, a carefully balanced relationship between the interior space and the exterior shape and the atmosphere that they forge together. The installation itself was made in collaboration with Kari Virtanen, a trusted long-term collaborator of ours at his workshop in Fiskars, Finland. In collaboration with Kari we were able to create an interesting and beautiful space using a common material, spruce. 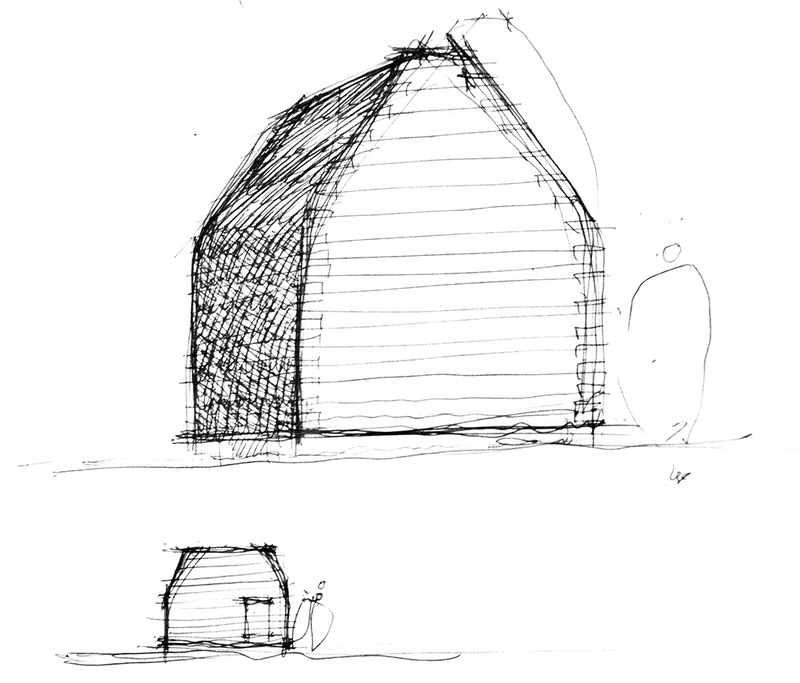 For us, the material and the structural solutions form an essential part of the final result. Careful attention was paid to the selection of the material and to the ways in which it is treated and finished in the process. 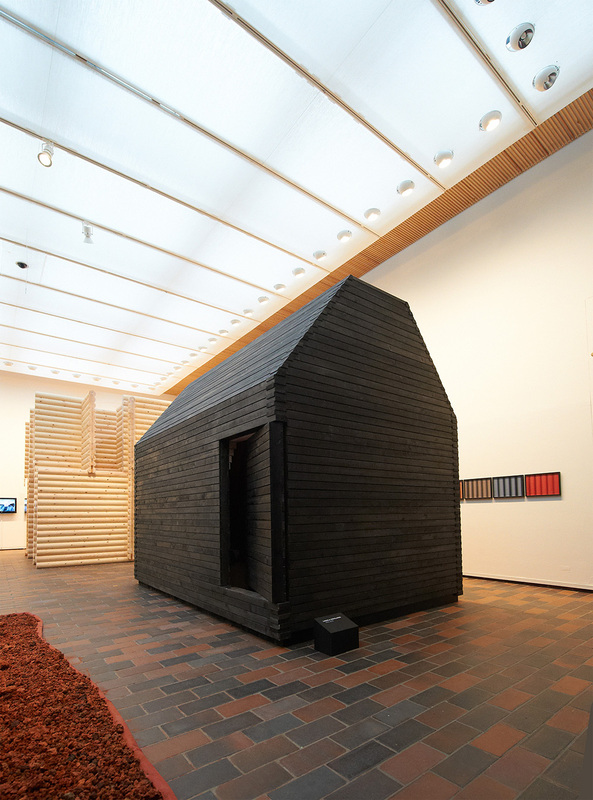 The selection of the trees to be used and the sawing of the timber took place at the sawmill of Matti Taskinen while Kari Virtanen was responsible for the carpenter work.The finished work was then transported to the museum in parts and rebuilt on site at the museum in just two days. 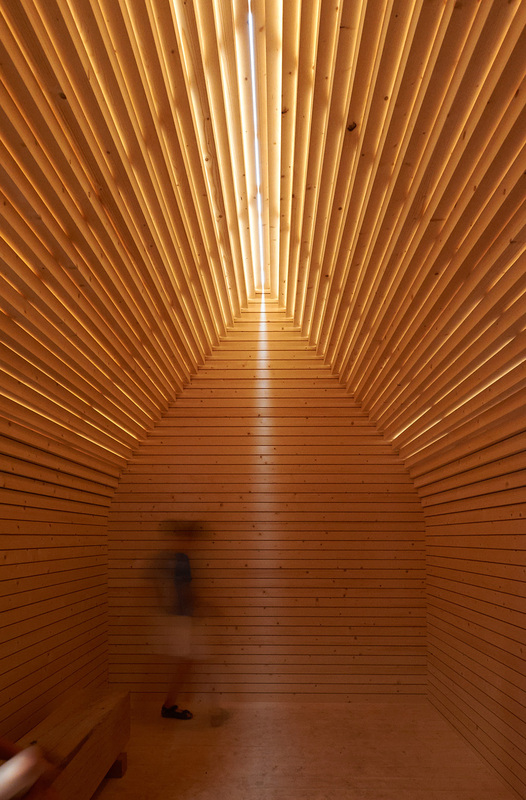 The structure is entirely made of wooden logs. The exterior has been treated with a black color treatment. The interior of the space is untreated finely sawn wood. In the interior surfaces have been treated with soap in order to protect the wood against getting dirty. 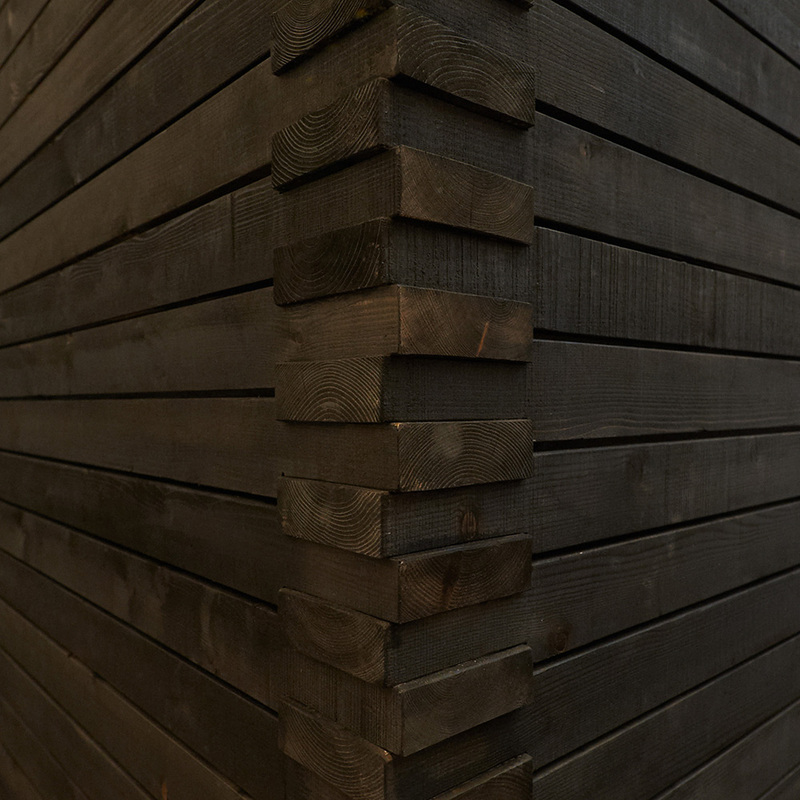 The soap treatment preserves the natural light color of the wood allowing the visitor to enjoy the tactile and visual beauty of untreated spruce. 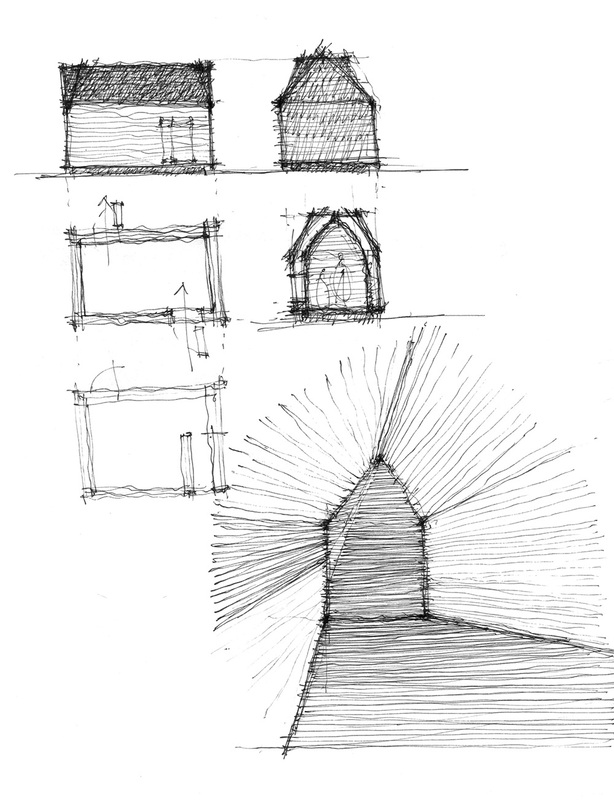 There are no openings for windows on the walls. However, the ceiling is composed of two parts making it possible for light to delicately filter in from above. The atmosphere is calm and warm. The space is intimate and almost sacral. Animated by the light seeping through the logs it feels like it is filled with light. 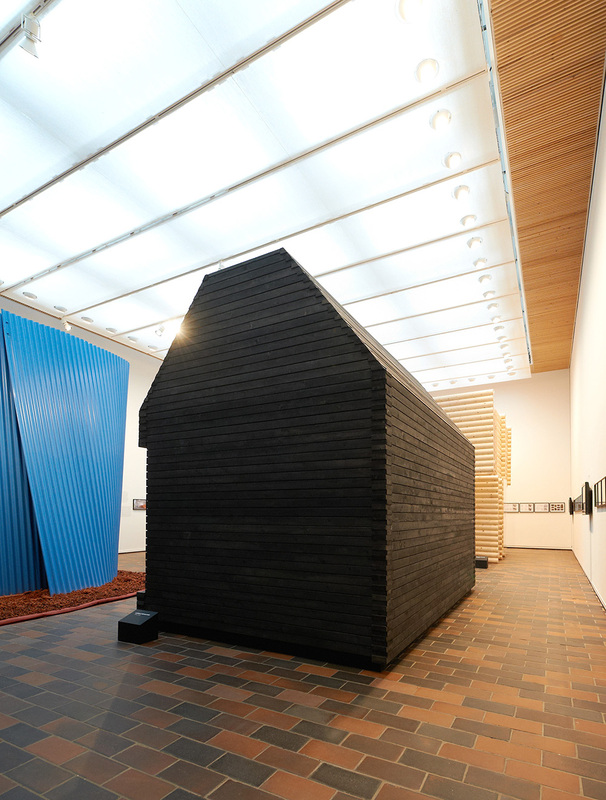 The pavilion was later presented in the Nordic Cool exhibition at the Kennedy Center in Washington, DC, in 2013.